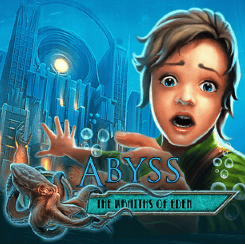 Abyss: The Wraiths Of Eden is a free Windows 8 adventure game which is so exciting and fun filled, that you will definitely get addicted to it. Inside the game, you play as the female lead whose fiancée is a deep sea diver who never came back from an underwater expedition. The female lead then decides to go on a search for Robert (the lost diver) by donning a scuba suit and diving into the sea at unimaginable depths, reaching the sea bed. The entire gameplay is underwater where you collect clues and try to find Robert hoping that he is still alive. Ok, so much for the storyline of the game. Coming to the graphics of the game, they are simply incredible. The game can easily be downloaded from the Windows 8 App Store, but be warned, the game size is huge- almost 700Mb. Let’s talk about the game in detail now. Abyss: The Wraiths Of Eden can be downloaded for free from the Windows 8 app store using the link given at the end. 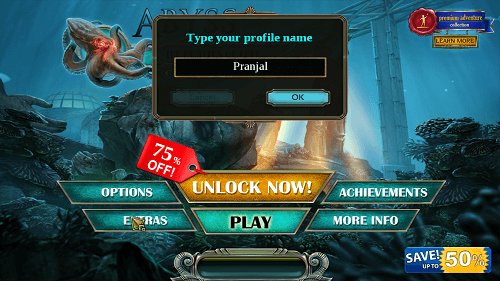 Once downloaded, you will be presented with a level selection screen, where you can enter your name. Once you are done entering the name, you will be asked to select a difficulty level. 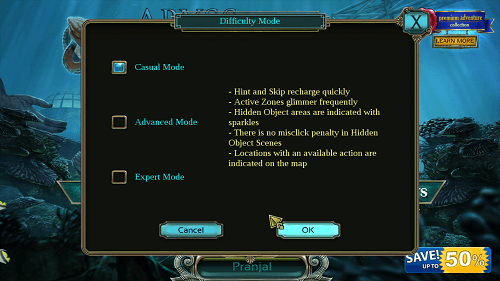 Select and click OK.
Once you’re done doing that, you will be presented with the gameplay screen. If it’s your first time playing the game, you will be presented with the opening video (cut-scene) where you’ll be able to see Robert and how he disappeared without a trace. You will then be shown the female lead (who you’ll play as in the game) going on a search for her fiancée and diving into the water. This is where the game begins. 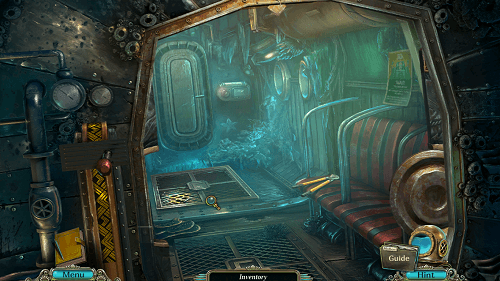 Inside the game, you will be able to collect certain artifacts (or clues) which you will be able to use for various things like opening locks, etc. You can collect these items by simply clicking on them. There is also a zoom feature which you can use to zoom in and inspect the place better. 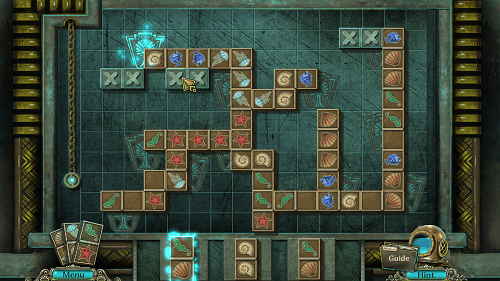 There are also bonus puzzle levels hidden in the game if you play very closely. I was lucky enough to find a domino puzzle level, here is the screenshot of the same! Throughout the game, the tantalizing background music will keep you entertained and the amazing graphics will keep you intrigued. The app is absolutely amazingly designed, and is definitely worth a shot! Great graphics, amazing cut scene animations and movies. Also check Funny Bunny Adventures and Kikoriki. Abyss: The Wraiths Of Eden is an excellently designed game for Windows 8 devices. Surely, it is a classic game. The game is totally addictive (as they say, not all addictions are bad, lol!) and works absolutely smoothly. You can grab the game today, and can play it for days on end without stopping. The graphics are great, and the cut-scene movies only add to the mysterious aura of the game. The only drawback- certain features are locked and are only available in the paid version, for instance, features like replaying the videos and other extras are locked. But if you can live with that, it’s an awesome game!